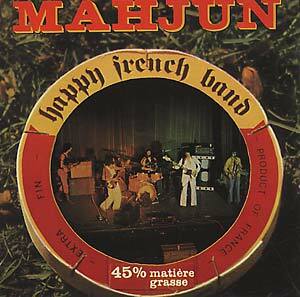 This French group started out under the spelling of Maajun and their debut album from 1971 is supposed to be a bit of a classic in a mixture of early underground styles. It's not on CD however. 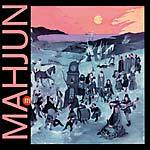 They changed the spelling of the name and a released a couple of albums for Saravah in '73/'74 and then this last album in 1977 (on Gratte Ciel). There's a post-Zappa influence involved and they supposedly "melded Arab, Free, and folk influences, doling out derision through satirical lyrics and music which parodied popular tunes."